Hi everyone, and thanks for tuning in after our radio silence this last couple of weeks. In this post I’ll fill you in on where we’ve been, what we’ve been doing, our plans and Eira’s health. As you might remember if you read our previous posts, we are currently house sitting for dear friends in south London. Our friends are on a family gap year and the timing couldn’t have been better for a solution to the fact that we, er, don’t have anywhere to live. Coming back to a home that is so familiar and positive in the girls’ minds (we were over at our friends’ most weeks) has been completely wonderful and I have no doubt it’s helped them settle back to life in the UK far more smoothly than if we had moved into somewhere new straight away. It’s something that Patrick and I will be eternally grateful for, and we still keep wondering aloud at the English home comforts that were scarcely found in Asia- sofas, carpets, ovens, microwaves and consistent hot water being just some of them. Oh and weekly shopping deliveries, bubble bath, hot water bottles, onesies, crisp and colourful Autumn leaves, golden morning and evening sunlight, the entire Linda McCartney freezer range and comparably safe roads with seatbelts are also up there on the list of UK wonders that we have newfound gratitude for. It’s the little things that, as it turns out, aren’t so little. Adjusting back to life here has been easy in some ways and more difficult in others. We are loving being back near so many friends and we’ve got stuck into groups, clubs, meet-ups and play dates as well as, of course, the daily ton of housework that comes with keeping a family home ticking over (especially when the kids are constantly crafting and cooking and building and eating). It has been lovely to enjoy normal life looking through the lenses of huge appreciation for our family’s health and the fact that we are all together to do normal life. The other side to readjusting has been predictably more effort, as we work to balance and reconcile our later memories of Bali with where we are now. 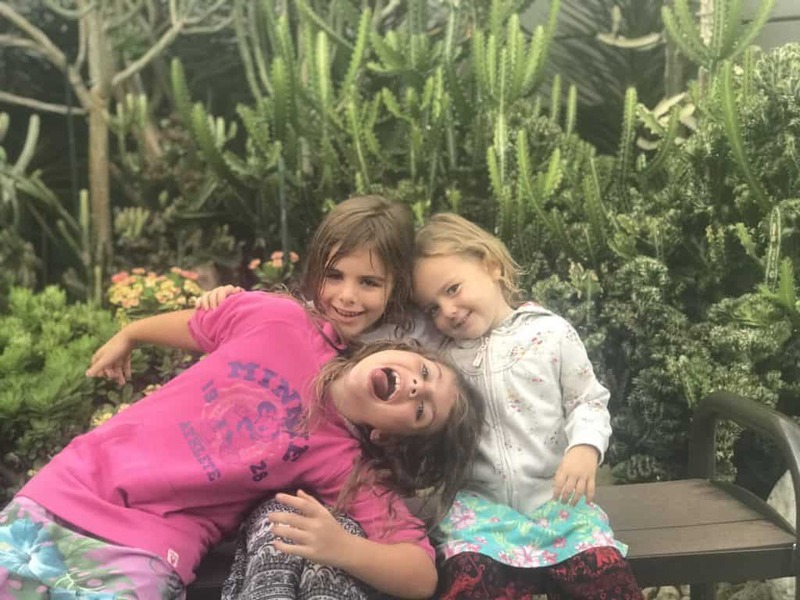 There’s no manual for how to manage these kinds of situations and we’ve walked through it with the kids, making a few mistakes along the way (going to church three days after we got back was way too overwhelming and ended in tears, for example). Overall we are stunned at how well adjusted the kids are; Esmae is more anxious than the other two but when we think about what she’s been through, her day to day happiness and behaviour is stunningly good. She was the most aware of what was going on with Eira’s accident and the earthquakes and so it makes sense that she was more affected than the younger girls. The kids’ nightmares about earthquakes and tsunamis have almost all gone and none of us have earthquake sickness any more (that horrible thing where you feel ‘phantom’ quakes) which is fantastic progress in such a short amount of time. 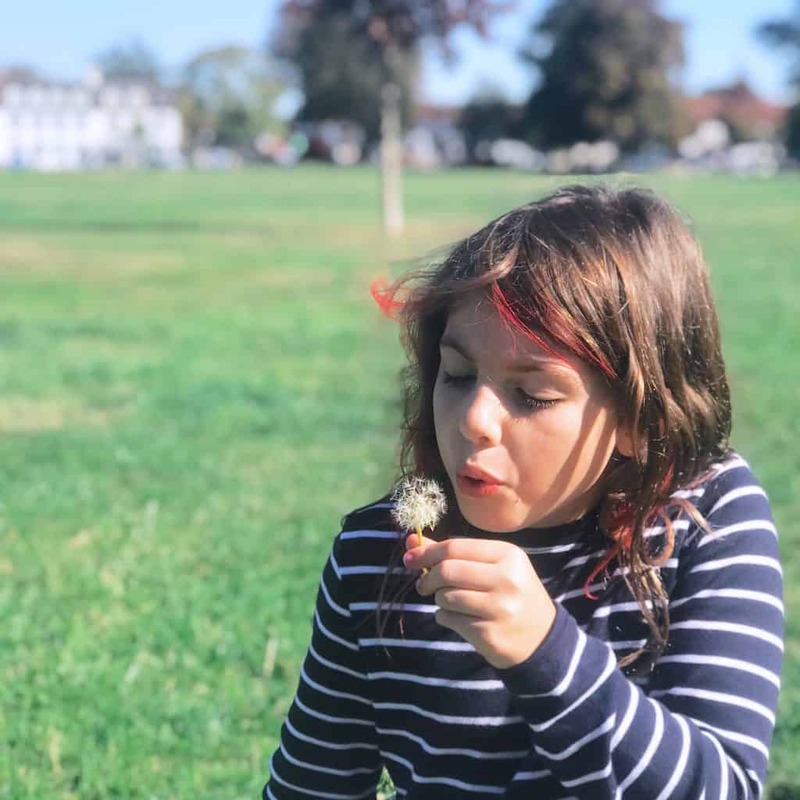 We took Eira to the GP as soon as we were back in the UK, as we expected to have to take her to hospital for scans to check how she was progressing. 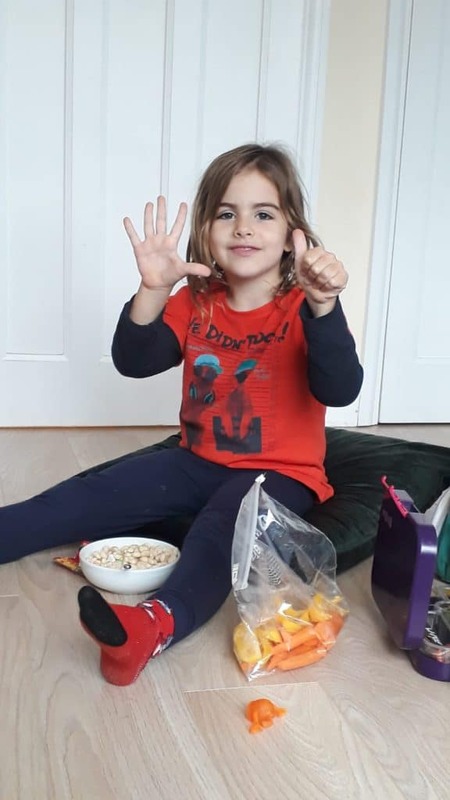 We are thrilled to be able to say that Eira is now off all her medication (our GP had never even heard of the brain medication that she had been on in Bali- eek) and unless she develops adverse symptoms such as fits, she doesn’t need any more CT scans. 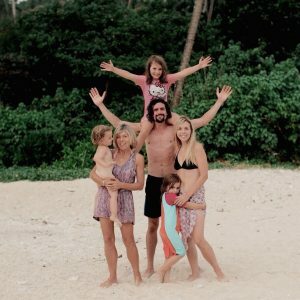 She had 3 in 10 days while in Bali which is a lot of radiation, so we are relieved at this news. 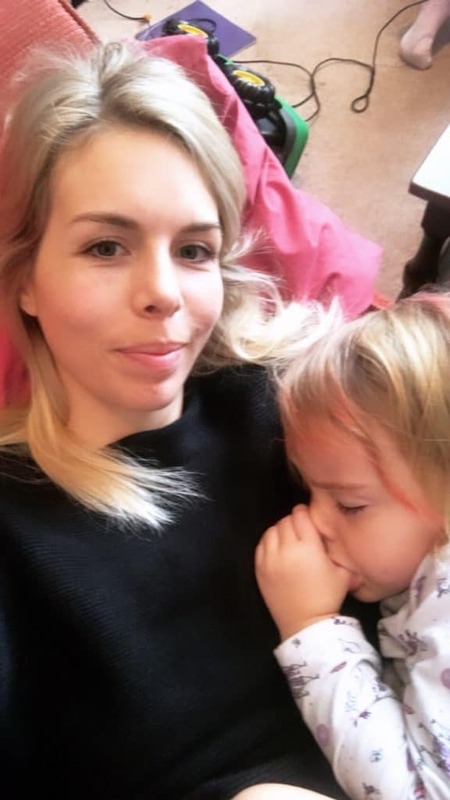 Due to the convulsions she had while in hospital (like mini fits) we have to keep an eye on her around water and just in general, as apparently her chance of developing epilepsy is increased, but she is doing so well that we hope to never have to deal with that. She is incredibly happy to be home and when I asked her if she feels safer and happier in England she said, “yes, I feel very safe and very happy,” which as a Mum is all I could ask to hear. 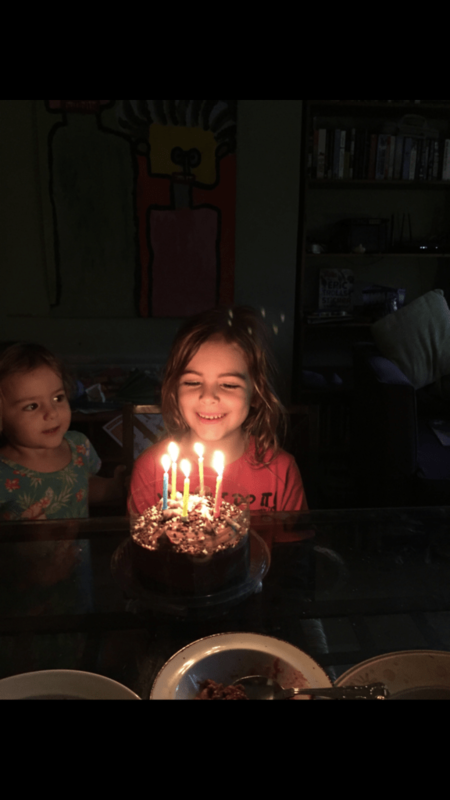 We celebrated Eira’s 6th birthday over the weekend, which felt incredibly special. As much as we are trying not to think about what could have happened to her, my brain wandered briefly to how different that birthday day would have been if things had gone differently in the hospital that night in Bali. It was wonderful to see her light up at her presents (a tea set, her own tub of Wrigley’s spearmint chewing gum and a soft toy, as per her exact requests) and laugh and smile and just enjoy herself. She also lost her first tooth- it’s all happening for this little girl! 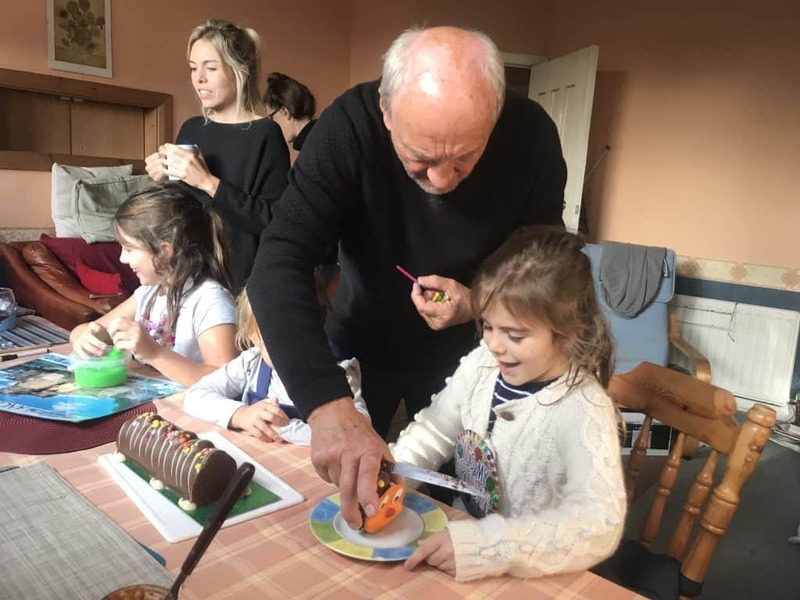 Of course you have to have a caterpillar cake at Grandad’s (tradition for every birthday)… and get the face! Elfie has been pretty hilarious while adjusting to the UK – she doesn’t remember England at all, didn’t know you could drink from the tap (at first she wandered around the kitchen looking for the water dispenser) and was very confused as to why we didn’t have a swimming pool in our back garden. While helping me clear some leaves from the garden yesterday she reminded me to “be careful Mummy, watch out for snakes!” and evidently didn’t believe me when I told her that England hardly has any snakes- they were a regular feature of Bali life. Mum has dived into life in the UK like Tom Daley into an Olympic pool, and can be contacted briefly in between work as a nurse and yoga teacher (although not at the same time) and an apparently endless stream of social engagements. She is thrilled to be back with friends and family and is sharing our zest for life. Mum is currently staying with a lovely friend and will be moving back into her home once her tenants are out. Back in the real world of adult-ing, I’m getting back to work with freelance writing and this blog, after taking a couple of weeks away from social media to just have a breather and focus on helping our family get back to ‘normal’ life. I love blogging and have met fantastic people through my work, but social media can be draining and it’s been liberating to step away and- here’s a shock- the world has kept turning. After Eira’a accident- in fact when she was laying on the hospital trolley, desperately ill on the first night- I kicked myself for having spent too much time on my phone, looking at other people’s lives and not appreciating enough what was right in front of me. I missed moments because I was too busy looking at them through a screen and worrying about work (of which an online presence is a big part). Happily things have changed hugely on that front and I am thrilled to be looking forward to blogging again and sharing pics on Insta most days, and then abandoning my phone somewhere high on a shelf once work is done, to enjoy life without likes, follows and notifications. So to our mid term plans: our probable options are either to stay in London, or move to Dorset where lots of our family are. We’ve only been back for less than three weeks so I’m sure things will become clearer once we’ve been back a bit longer. Patrick is looking for work to start as soon as possible and I am juggling housework and homeschooling with my writing. In there somewhere will be helping at church, travels in the UK (although give us a minute to get our heads around this ;)) and sharing with you our life, passions and projects.